In the relatively short time that I have been writing this blog I have discovered a number of brilliant book blogs out there, many of which produce reviews of a quality that I really aspire to. 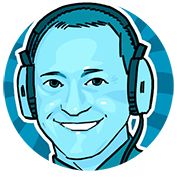 One such blog is Unbound, a visit to which will provide you with a veritable feast of reviews, interviews and articles focusing on the darker side of fiction - fantasy, horror, graphic novels, manga... you name it. Unbound also has a sister site called Young & Un:Bound, featuring reviews by kids for kids. I consider myself very fortunate that Adele from Unbound kindly agreed to write a piece about one of her favourite Graphic Novels for my themed month. I've been allowed to come and play as long as I tell you all about my love for graphic novels. That's easy, I love graphic novels guys!! They make up far too small a part of my collection but over the years I have found some real treasures hidden among those pages. 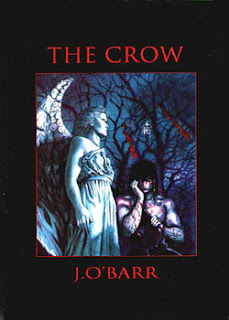 It won't come as a surprise of course to anyone who has spoken to me ever, that one of the first graphic novels I ever read was The Crow, by James O'Barr. I've always had a slight hidden goth streak and when I was introduced to The Crow I was immediately doomed to a lifetime of collecting good and bad movies, comics, short story collections and action figures. The appeal of The Crow to me was multiple. I had never come across anything like it before of course, which sparked an interest. I found myself reading it through quickly at first to get the story, then going back and re reading so I could enjoy the artwork and the additional bits and pieces filtered between what presumably were the original comics. The story most of you probably know, young, sweet, happy couple in love get brutally murdered and the crow brings boy back from the dead to avenge them both. He sets off on a killing spree. Apart from the crow mythology in the story I don't suppose the basic idea of coming back from the dead for vengeance was especially new. The delivery was beautiful though; O'Barr crafted his tale of violence and revenge and washed it all in sorrow and loss, making it an emotional and moving read. The character of Eric Draven was tortured but not blind to the good in people and maintained an interest in the salvation of others rather than becoming lost in his primary purpose. There is however plenty of violence for those of you who like it. I struggle these days to keep the novel and the first movie separate in my head having enjoyed them both so often, but while the plot changes to the movie made it more fun to watch the plot of the novel was in many ways more touching. Imagery of course is an important part of the story itself, but the art in The Crow was well worth the cover price for its own sake. The dark, ink heavy drawings vividly bringing both mood and character to life for the reader, the strange interludes (I am sorry the skull cowboy never made the movie edit although he was originally due to be in it). The additional art exploring the looks of Draven and his tragedy are beautiful and I still spend time looking through them all when I re-read. The artwork seemed less about simply showing you the story and more about communicating the feeling, plangent and sorrowful, much more than vengeful. The Crow Graphic Novel is also littered with poems and song lyrics, scattered through; as mentioned previously I assume this is part of it having been separate comics to begin with. They are well chosen and add a lot to the overall experience. After years of loving Raymond Chandler Evening as a poem, I am now a huge fan of the song and the artist Robyn Hitchcock. There are all sorts of additional bits in there but they all help to build the mood of the story, nothing is wasteful. There is nothing surprising or new about loving The Crow, plenty of people do and I know at least one person who would accuse me of being predictable and trite for citing it, but the fact remains it was influential in my reading habits, it changed my assumptions about the medium completely and it still affects me today as it did 15 years ago when I borrowed it from a friend. I am still amused by "skluurk" as a sound effect, still moved by Eric's sorrow, still glad for him when it's all over. Most of all I am still open to experiencing the brilliance of things like Joe Kelly's I Kill Giants because The Crow stayed with me in a way that (fond as I am of them) the X-men comics simply didn't. Adele sent me this yesterday but I didn't get the chance to read it until I got home from a school parents' evening. Once I had read it I immediately felt the need to re-read The Crow for myself - if you have never read it then I envy you as I know what a treat you have in store the first time you pick it up. Thank you Adele for a great guest post. Fantastic post - I love the movie but weirdly I've never picked up the GN. I think I may have to remedy that now...thanks guys! I believe The Crow was my first graphic novel as well! Excellent choice. You're right - the two do tend to blend together a bit. Brandon Lee's death added to the impact of the movie. It was hugely tragic and added another dimension of sadness to viewing. I never did go and see it at the cinema. I can't believe I forgot about "Raymond Chandler Evening" being in The Crow! Probably my first exposure to the glory that is Mr H. And like you, this was one of those key GNs that re-introduced me to comix (Hellblazer being the other). I was eager to see the film, went with a bunch of friends. I remember sitting in the theatre after the credits rolled, not wanting to move, not wanting to speak, because it had captured the comic so well. Sigh. It's funny isn't it how even though they changed a lot they got enough so right that the two blur so easily. I like to read Gothic literature, I read the Crow of the famous and genius Edgar Allan Poe and I want to give a read to this The Crow by James O'Barr, I know it would not be the same as Poe's masterpiece, I hope to enjoy it though!